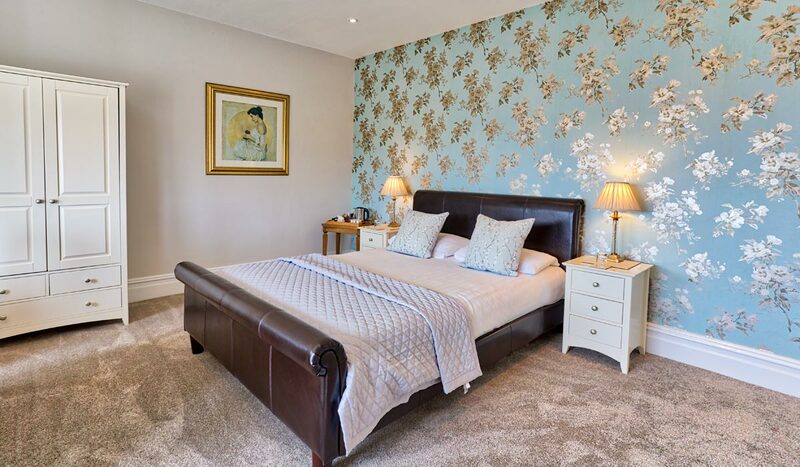 Positioned at the front of the house, this first floor spacious bedroom has a fantastic panoramic view stretching from Llandudno and the river Conwy to the foot-hills of Snowdonia. 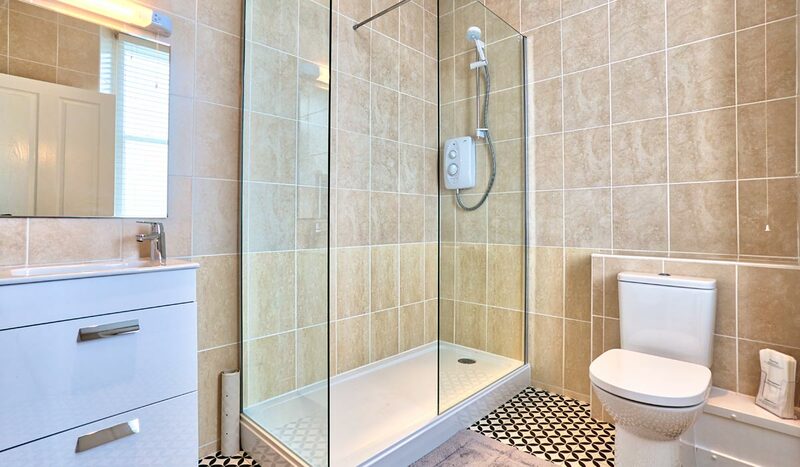 The ultimate in comfort, it is 100% non-smoking and offers a king-size leather bed, large sash bay windows, modern en-suite bathroom with bath and shower. Rates shown are per room per night. Our tariff is based on a minimum of two occupants per room. Single occupancy rates are the same. 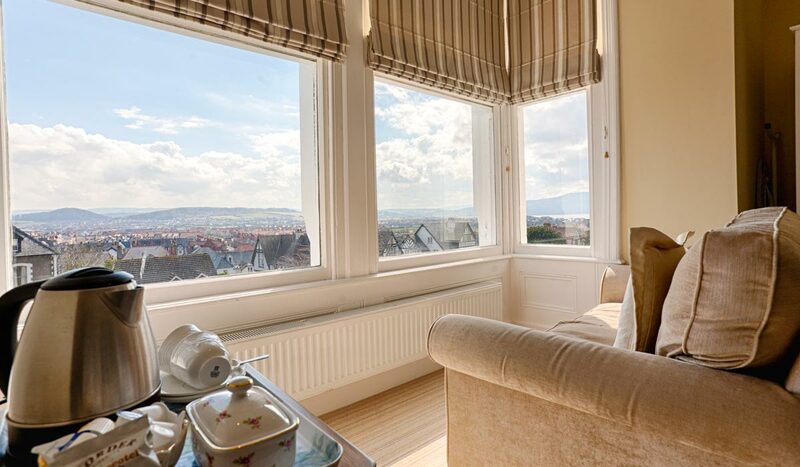 A sofa is arranged for your comfort to enjoy stunning views over Llandudno and Conwy Bay. We offer free wireless broadband connectivity throughout.